Followed by the news, many Bollywood celebs, some of them who have even met and interacted with Manohar Parrikar, took to Twitter to share their condolence messages. 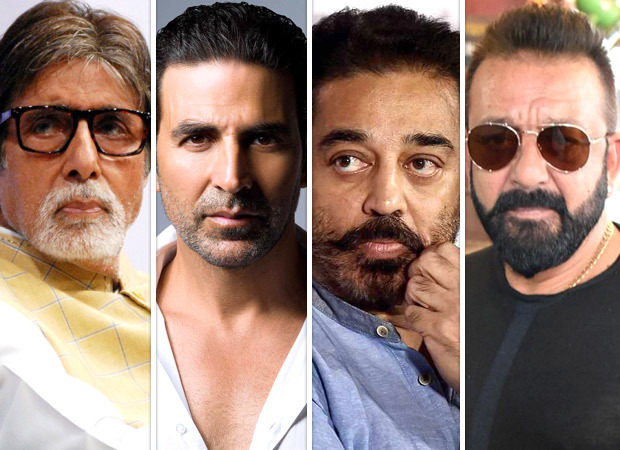 Amongst them were superstars like Amitabh Bachchan, Akshay Kumar, Kamal Haasan amongst others. Extremely sad at hearing about the demise of Sh. Manohar Parrikar Ji. I feel blessed to have had the fortune of meeting and knowing a sincere and good soul as he was. Heartfelt condolences to his family???????? Party ideologies apart a good and gentle man will always be it. Not even cancer can kill a spirit like @manoharparrikar . Have had the honour of breaking bread with him. As will the Nation, I too will remember him. Saddened by the news of Manohar Parrikar ji’s demise. May his soul rest in peace ???? Sad to hear about the loss of one of our finest leaders, #ManoharParrikar ji. May he rest in peace. My prayers are with the grieving family & friends. Condolences and strength to the family of Manohar Parrikar ji ! Deeply saddened to hear about his demise ! May his soul rest in peace ???????? A true patriot passes away, RIP #ManoharParrikar ji. A great leader who we will always admire, remember and seek inspiration from. Heartfelt condolences to his family and loved ones. #ManoharParrikar always came accross as one of the more level headed and decent politicians in the country. Rest in Peace sir. RIP @manoharparrikar .. a man of action and integrity . Worked with him in creating the #Goa film festival. What a pleasure to have known such a man. Deeply saddened by the passing away of Shri #ManoharParrikar ji … one of the tallest leaders of India. Condolences to the family & loved ones. RIP Shri #ManoharParrikar Condolences and strength to the family in this tragic time of grief. #ManoharParrikar lost his battle to cancer but in his last days set a fine example of working against all odds. He will be a tough act to follow. Rest in peace sir. Terribly saddened by the sudden demise of Goa CM #ManoharParrikar ji, we have lost a humble, trusted and hardworking leader of India. May his soul rest in peace. RIP Manohar Parrikar sir. Had the pleasure of meeting him years back at Goa IFFI when #Musafir was showcased there. Had great charm and personality ???? Saddened to hear of the death of @manoharparrikar ji after his prolonged illness. Condolences to his family and friends. ???????? WOULD YOU PAY TO SEE TWO SEQUALS OF FIFTY SHADES OF GREY?